5 Arabic Musical Instruments - Arabs have long been known as poets. So do not be surprised if the Arabs also have musical instruments. The nature of Arabic music itself is not based on the arrangement of harmony like western music. In Arabic music, the tone used is called maqam. The tone arrangement that is not perfectly tuned is an understanding of the station. So it's not like western music that has a measured tone. 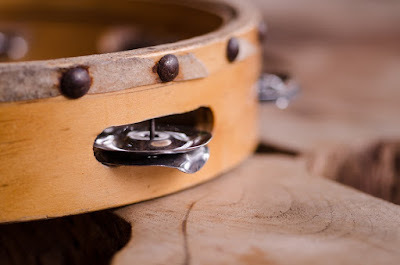 You can see for yourself in qasidah music that relies on tambourine punch as its melody. So it can be concluded that the melody used in Arabic music is based on the beat of the beat. For those of you who are looking for information about Arabic musical instruments. We have collected some information to help you. The beginning of the history of Arabic music originated from the reading of poetry or it could be called a poem in the period before Islam came called the period of ignorance. Although information about Arabic music is somewhat spelled out. But it is believed that the emergence of Arabic music was around the time of the 5th century to the 7th century. At that time, music was closely related to magic, mysticism and genie or spirits. The Nay name comes from the parsi language which means reed or commonly used for Clarinet musical instruments. If on Sumatra Island it is commonly called serunai. This tool has 1 hole for thumb like the recorder, 6 holes for example like bamboo flute and has 9 connections. How to play a musical instrument Nay is ditup like flute. And for high notes blown harder. Even though Nay looks to be played. In fact this instrument is difficult to play. Therefore you must practice to be able to play it. This instrument has been played since the 10th century. Furthermore this musical instrument was brought to Europe in the 12th century. Qanum is a musical instrument similar to a harp or commonly called a stringed musical instrument. The shape resembles a trapezoid with a flat soundboard for 81 strings. And divided into 3 groups of chords. How to play the Qanun musical instrument by picking it. Qanun is placed on a table or lap and then pressed with a finger, where there are 4 plectrums mounted on the tip of 4 fingers in each hand. The strings are supported by a support consisting of fish skin or sheep which covers a portion of this rectangular musical instrument. Then the sound is made by resonating the skin. Gambus is an Arabic musical instrument similar to a guitar used in Arabic music. This instrument has 6 types of double strings. Strings used are goat intestines. Where each string is held so that there are 12 strings without any fret like a violin. Currently string for gambus is made of nylon wrapped in copper or brass. The stringed instrument has a low, unique sound. Gambus has several versions. Arabic description is different from gambus in Greece, Armenia and Turkey. In the country of Turkey, the gambus has various tunings and is different from the Arabic stringed instruments. Tambourine which is known at this time, especially those used for qasidah, dangdut and Malay music originated in Arabic. In dangdut music, it is usually called a drum that comes from cow skin. But tambourine from Arabic originated from sheep skin because there were many sheep there. But since 1980, rebana has become more modern. Some are made of aluminum or plastic. In fact, the skin was replaced with plastic which is useful to maintain stability against air humidity. The tambourine maestro that we often see is Hossam Ramzi, ‘Adel Shams Eddine and Mohamed El’Arabi. All of them come from Egypt. The name Buzuq comes from the Turkish language at the time of the Ottoman warriors which meant the head was on fire. The origin of this instrument was made from a piece of wood cut then crushed. But at this time Buzuq was made from several layers of wood and the round of strings was already with mechanics like the guitar. Buzuq's musical instrument has a long finger board and metal strings. The way to play it is also by picking it with the plastrum's excerpt. And now it's replaced with plastic. Metal strings have a loud voice. In general, you can find this instrument in Jordan, Palestine and Syria.